Are Cloud Offerings Good for SMB? What exactly are cloud services? Should we be looking into them? Here is a general answer to the first question: Cloud services are on demand solutions made available to users through an Internet connection from a Cloud provider. For instance, Office 365 provides an e-mail solution (and more) from Microsoft that users can access anywhere they have Internet access from almost any device. I can even get to Office 365 from a certain gaming console. In the early days of cloud computing, cloud referred to services that came through the Internet from a third-party. However, today we have private in-house clouds as well. As for the second question; yes, you should be looking into Cloud solutions. Every year, IT has a buzz-word that rises to the top of the list. In the ancient past of a few years ago, ‘client/server computing’ was the major buzz-word. More recently, ‘virtualization’. 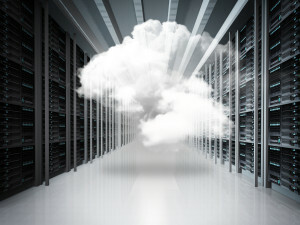 Though virtualization is still a major buzz-word today, ‘Cloud Computing’ is now on the top of the list. There is a reason these buzz-words rise to the top of the list, they are a rising, viable trend for IT solutions. Cloud may not be for everyone, but there is not a single administrator who should not be looking to see how cloud services can help their organization. Funny, I said the same thing about virtualization not too long ago. Lower IT costs without the risk. If you host a service in house, you need the hardware resources to house it, the expertise to build and maintain it, and the resources to operate it. Most of the time, cloud services are a subscription based service. When first looked at, the monthly cost of those subscriptions may be substantial. However, you have to compare it to what it would cost you to have the services in-house. Add up the cost of the server, the environment to protect the server (power and air conditioning), installation, maintenance, backup, and upgrades. You get all of that from the cloud without you having to deal or worry about it. The cloud service has the security and the disaster recovery resources already which means lower risk to you. New methods of collaboration. Sharing ideas, files, and data can be done almost anywhere, anytime, and on any client. As stated above, being able to do things almost anywhere, on any client, at any time. Most SMB do not have a large IT staff with a wide variety of technology skill sets. They usually have the one or two people who have to be a jack-of-all-trades. I have seen places where this person is the head of accounting. They have a CPA, not a BS in Information Technology. With cloud solutions, the need for in-house expertise on a product is practically eliminated. The burden on the ‘IT’ people is lifted and day-to-day IT tasks are reduced. Office 365 gives you hosted Exchange e-mail services, the latest version of MS Office for multiple devices, shared information and files, hosted storage, and more. Trend Micro Worry Free Business give you cloud administered antivirus. The AV client still resides on each device, but the administration is in the cloud. This way, you do not need to install AV administration services on a local server. You can also get to the console from anywhere to perform tasks. Carbonite offers highly compliant backup solutions to the cloud. You don’t need the storage or administration hosted in-house. Microsoft Azure and Amazon Web Services make it possible to put any server, even your entire server infrastructure in the cloud. There are many more cloud offerings than these. It is most definitely worth looking at cloud services whether you are a small or large company. Do you have any questions about the cloud and your business? Custom Systems can help! Feel free to post any questions or comments below or reach me directly by email. Do I need to replace Windows XP in my network? I am sure by now everyone has heard that Microsoft will end all support and updates for Windows XP in just over a month. The IT Press is full of articles of doom and gloom similar to the Y2K predictions that were made by many back in 1999. Well I have some good news and some bad… and what YOU need to do as you make a decision for your organization. Windows XP will continue to work on any computer in its current state. There will be no additional Security Updates and Fixes to correct new threats that are discovered. First, identify how this will impact your business. Take an inventory of Windows XP PCs and divide them into two groups. Group 1 are those PCs used daily on your network to access the Internet for web access or Internet communication. These PCs should be immediately targeted for replacement. Group 2 are those PCs that have some other purpose such as controllers for machinery, dedicated PCs that run equipment or processes such as CAD, estimating, or other business processes that DO NOT use the web or Internet. My recommendation is that you can continue to use these PCs for the lifetime of the PC hardware. The last decision to make is based upon your installed Anti-Virus security products used on Windows XP. Ask your security vendors such as Symantec and Trend Micro, how long they will continue to issue signature updates for products installed on Windows XP. This should be the last possible date you continue to use a Windows XP Computer that will have any access to the Internet. Next week we will look at the true cost of Windows XP replacement… it may surprise you that a new operating system such as Windows 7 or Windows 8 is the least expensive part of an upgrade.